How to see the constellation Gemini in the night sky, plus some of ancient lore about the legendary Twins. When and how can I see the constellation Gemini in the night sky? Find Gemini from the constellation Orion. Use the Big Dipper to find Gemini. Use the moon to find Gemini. Mythology of the heavenly Twins. Here’s one way to see the constellation Gemini. The two bright stars Castor and Pollux each mark a starry eye of a Twin. 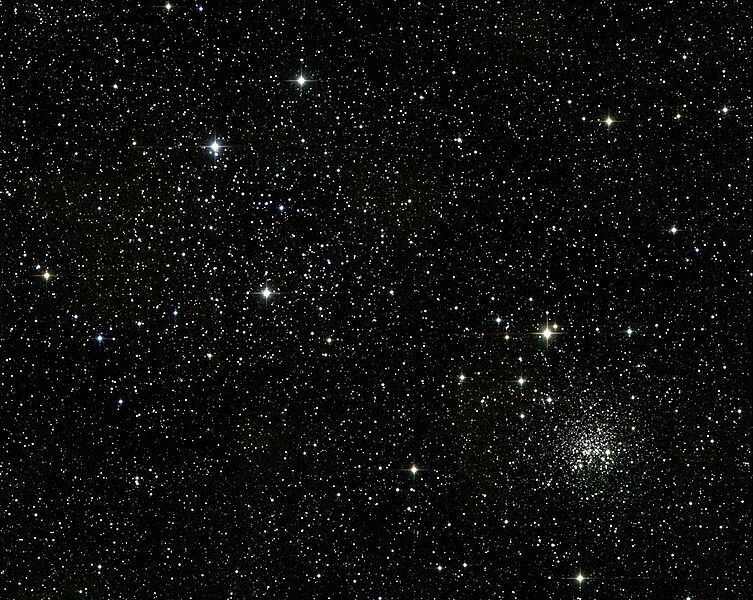 If you have binoculars and a dark sky, be sure to check out Gemini’s beautiful star cluster, Messier 35, or M35, in western Gemini near the Taurus border. See it, at the foot of Castor? When and how can I see the constellation Gemini in the night sky? You have lots of months during the year to observe Gemini, which is one of the brighter constellations of the Zodiac. The constellation Gemini lights up the early evening sky from January until May, though it’ll set in the west two hours earlier with each passing month. As seen from mid-northern latitudes, for example, Gemini stands upright over the western horizon around 5 a.m. local time in early February, 3 a.m. in early March, 1 a.m. (2 a.m. daylight saving time) in early April and 11 p.m. (midnight daylight saving time) in early May. January and February present a grand time for observing the constellation Gemini because it is well up in the east at nightfall and stays out for most of the night. 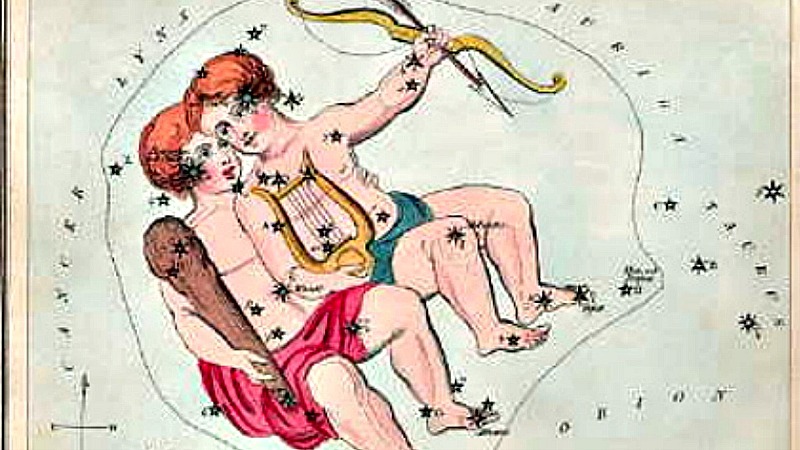 Gemini climbs highest in the sky around 10 p.m. local time in early February and 9 p.m. in late February. That’s local time, the time on your clock, no matter where you live around the globe. 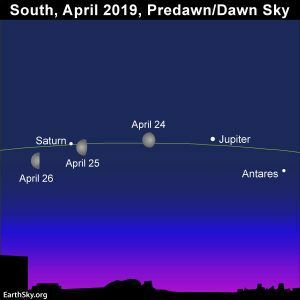 Gemini stays in view in the evening sky on through to May. 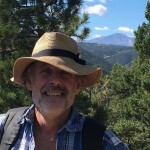 By late May and June, Gemini is found low in the west-northwest corner of the sky at nightfall, and Gemini’s two brightest stars – Castor and Pollux – fade into the sunset by around the June 21 summer solstice. Gemini is best identified by its two brightest stars, Castor and Pollux. These two are noticeable for being bright and close together on the sky’s dome. Like brothers! By the way, Gemini and nighttime’s brightest star, Sirius, reach the crest of their travels for the night at roughly the same time. At middle latitudes in the Northern Hemisphere, we see Gemini’s brightest stars, Castor and Pollux nearly overhead while Sirius sparkles quite low in our southern sky. South of the equator, it’s the opposite: Sirius shines way up high while Gemini sits low in the northern sky. The sun annually passes in front of the constellation Gemini the Twins from about June 21 until July 20. To remember these dates, keep in mind that the sun enters Gemini just after the June solstice and stays within Gemini for the following month. 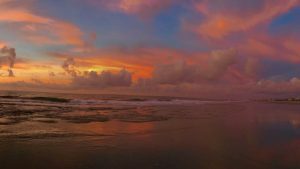 Gemini can’t be seen in late spring and early summer in the Northern Hemisphere – or late autumn and early winter in the Southern Hemisphere – because this is when the Heavenly Twins are lost in the glare of the sun. Find Gemini from the constellation Orion. If you pick out any noticeable sky pattern in the February night sky, that pattern has a good chance of being the constellation Orion the Hunter. On these February evenings, from the Northern Hemisphere, Orion is high in the south. Orion noticeable for its Belt stars, a short, straight row of three medium-bright stars. 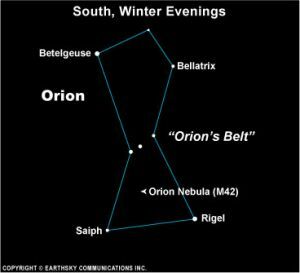 Look below Orion’s Belt for the very bright star Rigel. See it? Now look above Orion’s Belt for the star Betelgeuse. See that? You can draw an imaginary line from Rigel through Betelgeuse to locate Castor and Pollux. Remember, you’ll be looking for two bright stars that are noticeably close together. Use the Big Dipper to find Gemini. 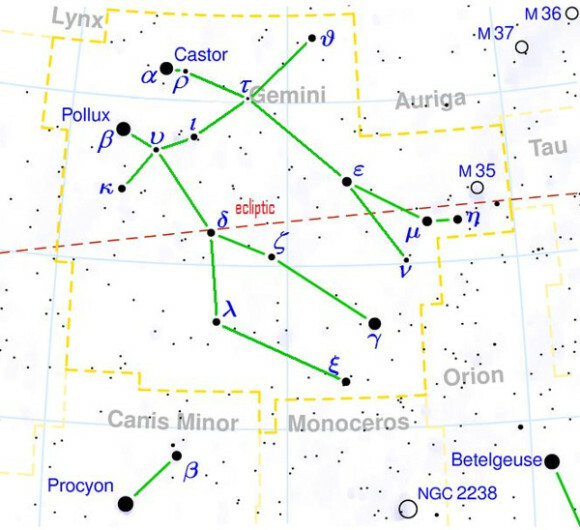 This asterism – not a true constellation, but just a very clear dipper-shaped pattern of stars – is always located generally northward on the sky’s dome. 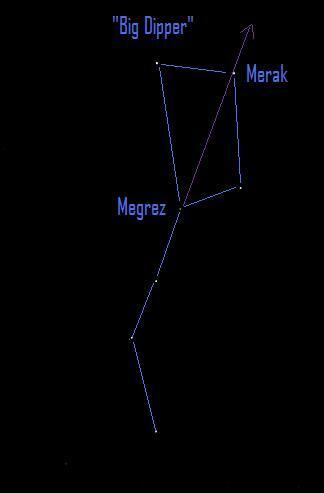 Draw an imaginary line diagonally through the bowl of the Big Dipper, from the star Megrez through the star Merak. You are going in the direction opposite of the Big Dipper handle. This line will point to Castor and Pollux. Use the moon to find Gemini. As the moon swings full circle through the constellations of the Zodiac, it passes through Gemini for a few days each month. Look on the sky chart above to see the ecliptic as a dotted red line crossing Gemini. The ecliptic marks the sun’s path on which the sun goes eastward (from right to left) in between the two bright Gemini stars, Castor and Pollux, and the brilliant star Procyon of Canis Minor the Lesser Dog. Whereas the sun passes eastward through Gemini for about one month a year, the moon goes eastward through Gemini for a few days each month. Because the moon stays within plus or minus 5o (10 moon diameters) of the ecliptic – the sun’s path through the stars – the moon travels to the south of Castor and Pollux, and to the north of Procyon as it promenades across Gemini. In cycles of 18.6 years, the moon reaches its farthest point north of the ecliptic in Taurus and just misses occulting – covering over – the star Pollux. In ancient times, when Pollux was a little closer to the ecliptic, the moon used to occult – cover over – this star in centuries B.C. Mythology of the heavenly Twins. The scroll of the lore-laden heavens represents the meeting place of mortality and immortality, of where ancestry and posterity live together. Certainly, the Greek myth of Castor and Pollux explores the inherit duality of life – of mortality and immortality forever intertwined and perpetually in conflict. Castor and Pollux were the sons of the god Zeus and their mortal mother Leda. The offspring were a mix of the base and divine, with Castor being the mortal brother and Pollux immortal. The two brothers well portray the dilemma of the human condition, the story repeating itself over the generations. Castor and Pollux were joyfully united in spirit yet sorrowfully divided by circumstance. When Castor was slain in battle, Pollux was inconsolable in grief, begging Zeus to relieve him of the bonds of immortality. 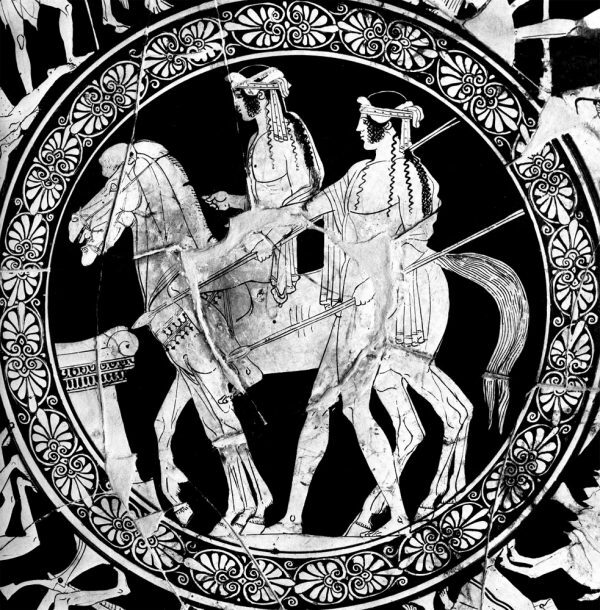 Pollux chose death, so that he could join his brother Castor in the great beyond. To this day, Pollux and Castor stand reunited in the heavens, a tribute to the redemptive power of brotherly love. Bottom line: Want to find the constellation Gemini in the night sky. Winter and spring provide a good time to look. This constellation is noticeable for two bright stars that are close together on the sky’s dome. In the mythology of the night sky, these two stars represent twin brothers.